I love discovering pretty things - and today, I bring you something that will make any mom giddy on Mother's Day! But before we get into it, Happy Mother's Day to all you lovely ladies out there who do the most important job in the world. A job where you are paid in kisses, hugs, smiles, laughter, and the never-ending love that you get to experience from your little (or big) ones. I am blessed to have two sons, one who is 13 and a little one who just turned 6 months. It's amazing how much love you see in the eyes of your children and the admiration that comes from them. How great that we get to experience such an unconditional and pure love from our children. They are a gift of true love from an amazing Father! Today, I honor all mommies - to all women who make a difference loving and nurturing the little ones in our lives. So, I discovered some really fun and pretty wallpaper resources that I wanted to share with you all. 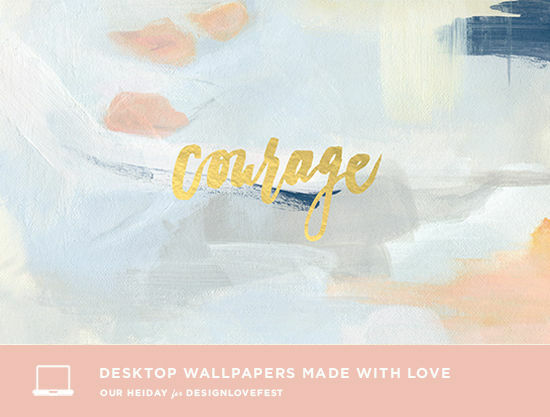 Pretty-up your desktops and phones with Design Love Fest's free desktop and phone wallpapers. I love her site and her style. I'm so glad I found these, as I am always looking for pretty designs. Take a look and download some - if not all! I know I wanted to. She has tons available, so go check 'em out! That's how I feel when I find freebies and pretty freebies at that! Thanks to Design Love Fest for the awesomeness. Stop by and say hello to her and let her know I sent you!